Avast Forum is a website where you can read, ask, and answer questions related to Avast products as part of a community of other users. To join the forum, ensure you have an Avast Account. Using the same credentials, you can then log into the Avast Forum at https://forum.avast.com. 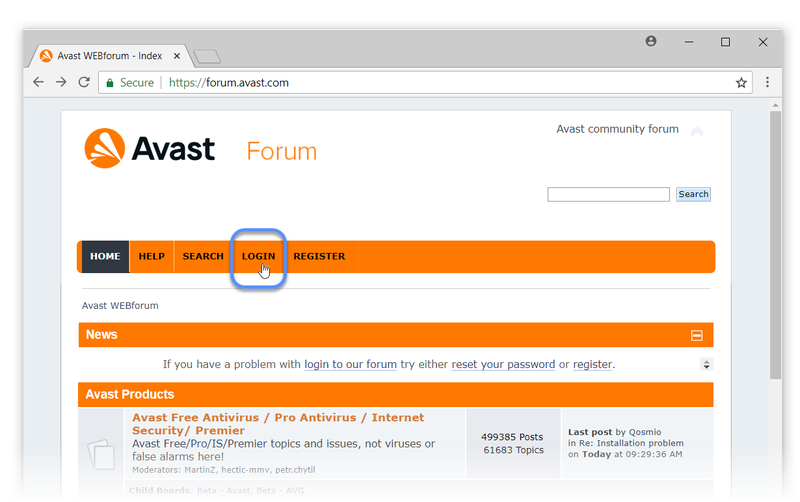 Open the Avast Forum (https://forum.avast.com) in your browser and click Register. On the Create an Avast Account page, type a valid email address and password, then click Create new account. 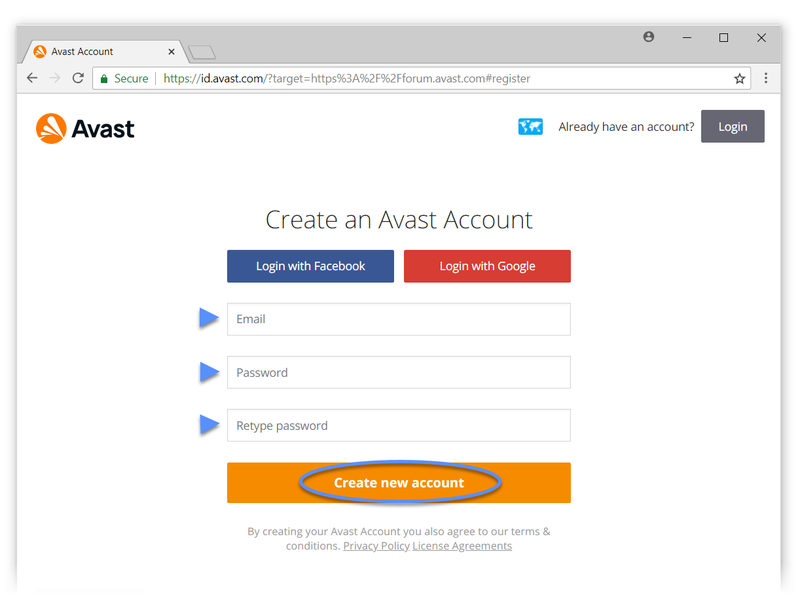 Alternatively, you can register for an Avast Account using your Facebook or Google credentials by clicking the relevant button at the top of the form. On the next screen, click Continue to send a confirmation email to your email address. Check the inbox of the email account you used to register and open the email from Avast. Click the link in the email to verify your new Avast Account, then click Continue to go directly to the Avast Forum. You now have an Avast Account and can use the same credentials when you log into the Avast Forum. Open the Avast Forum (https://forum.avast.com) in your browser and click Login. Type your registered email address and password, then click Login. 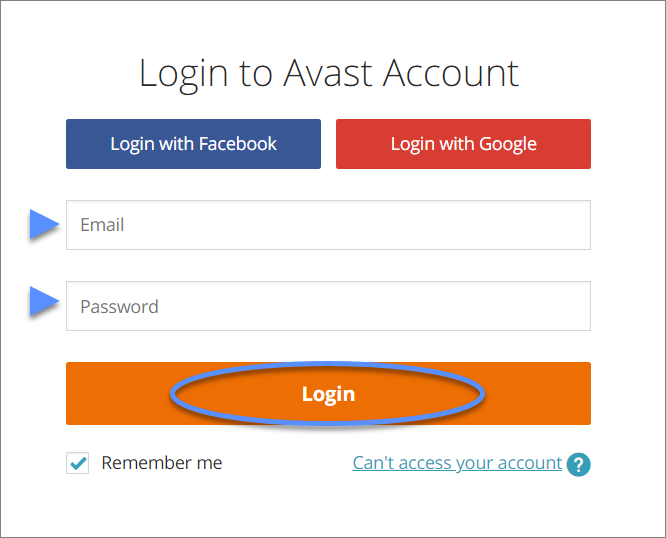 Alternatively, you can log in using your Facebook or Google credentials by clicking the relevant button at the top of the form (if you signed up for an Avast Account using one of these accounts). When your credentials are accepted, you are redirected to the Avast Forum.